Retna/Nunca: LA/LA offers a thriving exploration of the artistic connections between Retna and Nunca, which means “Never” in Portuguese. They represent the influential Los Angeles and Latin America (Brazil) urban graffiti art scene. 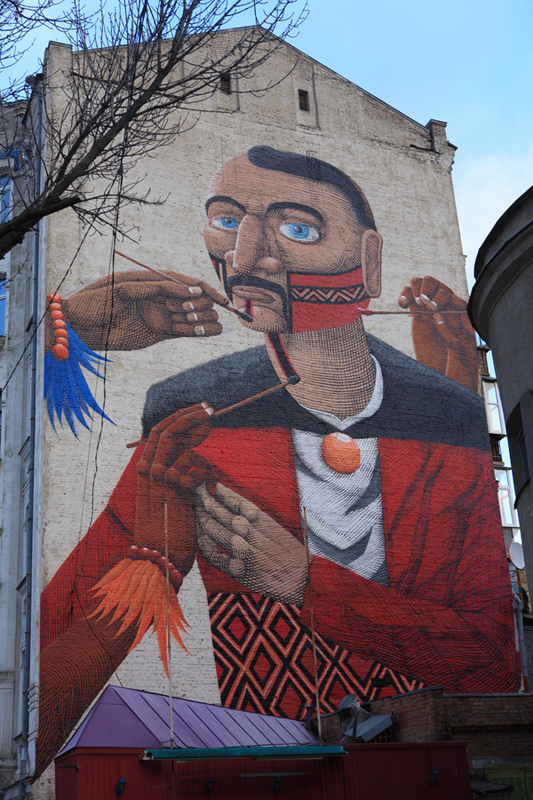 This compelling mural painting will be their first collaboration in the US. It conveys their appreciation for the Heritage of Mural painting emphasizing the indigenous reflections in each others work. Francisco Rodrigues started painting on the streets of São Paulo when he was twelve. Over the years, his paintings developed into a pictorial form of communication whose use of graphics and dark red ochre similarly related to the urucum (red pigment) used by some Brazilian tribespeople to paint their faces and bodies in rituals to strongly evokes the parallel between indigenous culture, self-sustainable traditions and artistic disciplines with the tradition of graffiti, its tools and the use of the city as media for artistic expression. Nunca is impressed by the influence anyone can have on different levels of life, anywhere, anytime and its results on the creative process, culture and art on a world so globally interconnect and dependent of its different parts by each other. Though made with spray paint or acrylic, his paintings and murals have the look of ancient woodcuts or etchings. The techniques used by the artist to create these images and scenes of his universe are the same used by the first colonizers to make woodcuts and etchings to portray indigenous, slaves, fruits, animals, landscapes and the first steps of globalization in Brazil and Latin America in a period when photography didn’t exist. The artist has been invited to show in different museums such as the Tate Modern (London, UK), Maco (Oaxaca, México), Schirn Kuntstale (Frankfurt, Germany), the Museum of Modern Art of São Paulo – MAM and others. 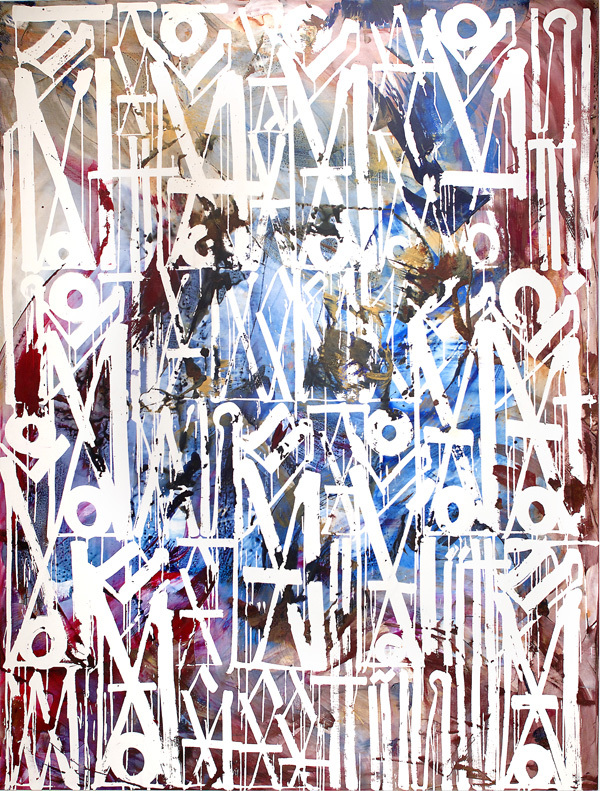 RETNA (Marquis Duriel Lewis) was born in 1979 in Los Angeles. At the age of fifteen, he began painting on posted fashion advertisements and, from there, led one of the largest and most innovative graffiti art collectives in the city. In addition to exhibiting at institutions and galleries in Los Angeles (including the façade of The Los Angeles Museum of Contemporary Art’s Grand Avenue location for their 2013 Gala celebrating the blockbuster exhibition Art In The Streets), Miami, London, New York (including the prestigious public exhibition space of the Houston-Bowery Wall), and Hong Kong, RETNA has created exclusive collaborations with brands such as VistaJet, Nike, Louis Vuitton, and Chanel. RETNA lives and works in Los Angeles.